Just when you feared that Hollywood had cornered the market on foreign remakes by purchasing the rights to every European effort that did at least modest box office business, the UK stepped in to prevent a Tinseltown monopoly with director Jonathan Lynn’s Wild Target , which screenwriter Lucinda Coxon based on a ’93 picture from Priceless helmer Pierre Salvadori. And sure enough, before I even discovered that the script had initially started as a French to English translation, Lynn's playfully freewheeling action-oriented comedy seemed so reminiscent of the screwball fare penned by Salvadori’s prolific, oft-adapted colleague Francis Veber that I actually made a note of it within the first fifteen minutes of the film. However, once it gets going, Target successfully transitions into a nice blend of the comedic cinematic styles from both countries that's bound to appeal to viewers around the globe looking for a fresh film comedy that doesn't rely on America's current obsession with scatological sight gags and forty year old men who act like they're still fourteen. 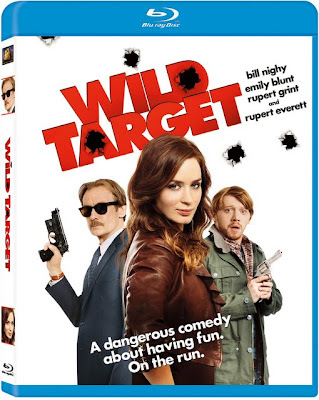 Likewise, had Wild Target been released in the ‘60s, it’s no great stretch of the imagination to envision Peter Sellers in the role that ultimately went to Bill Nighy as a lonely, single middle-aged man who seems to be in a work-related rut, having gone into the family business as a hitman for hire. With a waning libido and a veritable reminder from his recently retired assassin mother (Eileen Atkins) that his biological clock is ticking, he's warned that since she's taken up knitting baby booties, she'd like a grandchild to fit in them. 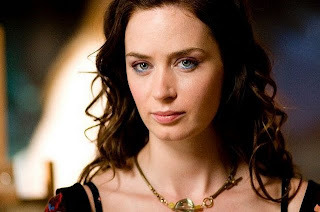 Yet shortly after Nighy’s sexuality becomes a comical cause for concern by his hilariously blunt, sardonic mother who also fears that their close relationship has turned him gay, Nighy becomes unexpectedly enchanted by the unpredictable behavior of his alluring new target, a thieving con-woman played by Emily Blunt. Having missed the window of opportunity for a shooting from afar, Nighy's killer in crisis begins protecting her as a fake private investigator. 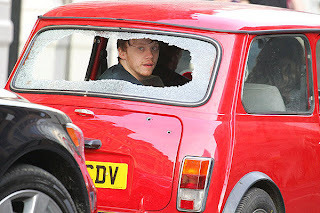 And before he even has enough time to process what’s going on in his mind, he adds a third amigo to the party via the impromptu acquisition of a promising protégé (Rupert Grint) whose knack with a gun saved them from certain death in a parking garage. While his mild-mannered appearance may initially disappoint those who like to see the lead at his zaniest, by restraining Nighy from his Love Actually antics, Lynn ingeniously frees up Blunt to take the lead as a loopy ball of fire who looks like she’s escaped from a long-lost Preston Sturges picture. And within moments of watching her wreak havoc on a London street before seducing men with an odd question about their weight, once again we’re left wondering what it will take for the ever-talented Blunt to finally break out into the big leagues. Of course, now that this is a foreign film twice over, it’s probably become doubly attractive to Hollywood studios looking for a new “remake” to tackle so if she doesn’t get more roles soon, Blunt can always reprise her role in a U.S. version to show the execs how it's done. 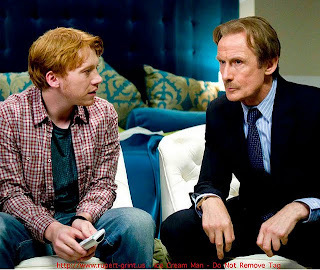 A silly madcap ensemble comedy in the vein of classic fare by Blake Edwards and Richard Quine that’s undeniably bolstered by gifted Clue , The Whole Nine Yards , Trial and Error and My Cousin Vinny director Jonathan Lynn, Wild Target is a sleeper in need of an audience to wake up and find it. And although Wild Target falters in its meandering third act that makes even the succinct ninety minute running time feel longer, it’s at its absolute best in a frisky, fast-paced second act that finds all characters cooped up together in tight quarters amidst the uproariously inspired insanity of missed connections, mistaken identity and screwball coincidences.